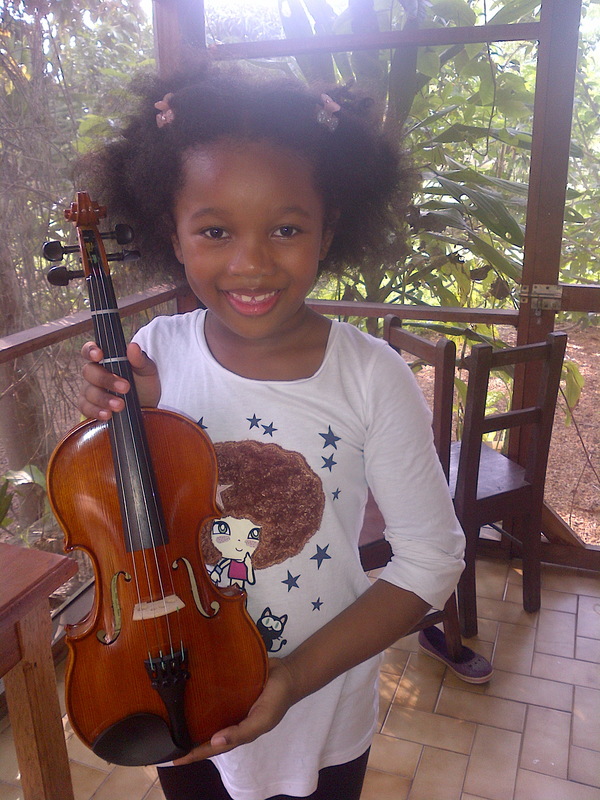 Cherissa fell in love with the violin the moment she first laid eyes on it at the age of two. She has been asking to learn ever since. Whenever she brought the subject up, which was often, I would shift uncomfortably. She would ask me why she couldn’t; I would have to explain to her yet again that violin teachers did not exist in remote Africa. I would suggest learning the piano (which I can just about teach her) or the flute (which our missionary colleague plays). She would say ok but I would hear her asking God to let her learn the violin one day. I secretly hoped that this passion for the violin would pass, but to my dismay, it never did. This has been a constant sting to me as a mother. What kind of a mother am I to deny my child of such a perfectly healthy interest! What if she was supposed to be the next Niccolo Paganini and I stifled her potential! (Tiger mum rearing its ugly head) I might have prayed once or twice about this, but mostly I silently resented God for this. Three weeks ago, beautiful Kate arrived from America to volunteer at our hospital for 9 months. She brought a violin for Cherissa and that was how our girl cried her first tears of joy. She was so overcome with excitement and emotion that for several minutes, she could not speak but cried tears of happiness. 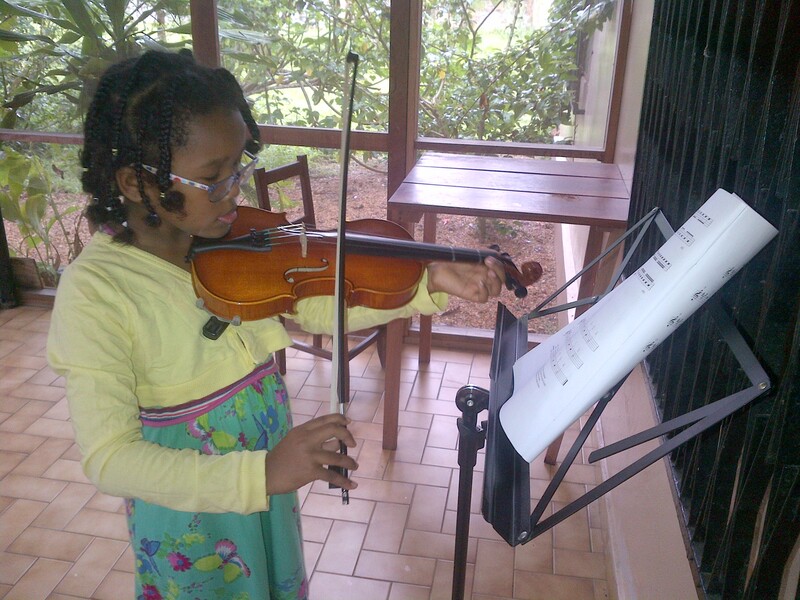 So it turned out that violin teachers do exist in remote Congo! Cherissa loves taking violin lessons from Kate. She says that it is even better than she thought! She may well lose interest in the violin within a few months, but she has received something far more precious – one that she will never lose - she knows and she knows and she knows that this is God answering her prayer. Not her mummy’s prayers, not mummy’s prayers with her, but HER prayers. Every time I hear Cherissa making squeaky sounds on the violin, my heart sings. Often my eyes will well up with tears too. That the King of Kings would bring a violin and a violin teacher to remote Congo in answer to a little girl’s prayer! Me of little faith and me of little trust! Forgive me, Lord. And thank you, God – you do hear every child’s prayer!